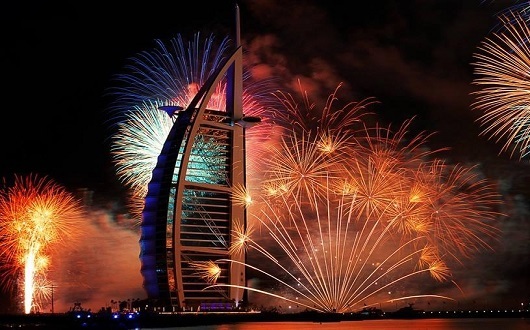 The most spectacular New Year's Eve parties are ones organized in Dubai (UAE). 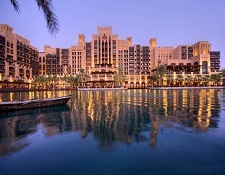 Their extravagant arrangements are capable of accommodating and hosting millions of visitors every year. The dazzle, the NYE fireworks, the laser show, the performances of the superstars bring such an unparalleled dimension to these parties that is unimaginable by any other host countries. The parties arranged in Dubai stand out from the rest of the parties in the world in terms of their grandeur and celebration. 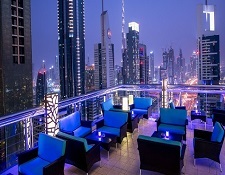 Dubai has so much to offer you that you will be compelled come here year after year to experience and enjoy all the parties of New Year's Eve in Dubai. 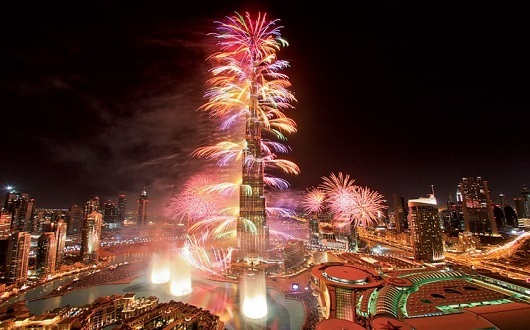 There's no better spot to watch the biggest New Year's Eve celebration in Dubai than from the footsteps of the Burj Khalifa, itself. Thousands gather along the waterfront of the Dubai Fountain to catch the spectacular light and water show at midnight so make sure to head down there if you are staying in Downtown Dubai. If you are coming from other parts of the city, arrive as early as 6pm to grab a top spot, or make a booking at one of the many restaurants. Plan ahead as roads and access to the Downtown area are restricted on the night for crowd control. We like our fireworks display grand and record-breaking, something that Dubai Festival City Mall will attempt with IMAGINE. With multiple fireworks shows planned for the night, the entertainment will kick off from 7pm. 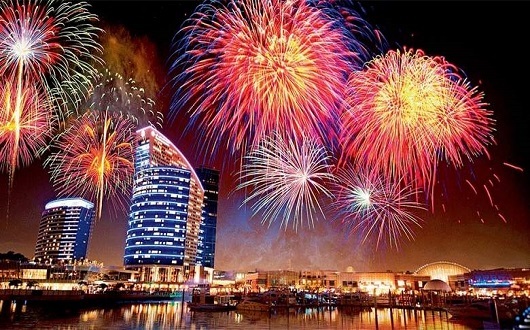 The bay will light up with fireworks at 9pm, 10pm and 11pm and a grand finale show at midnight to welcome in the New Year. 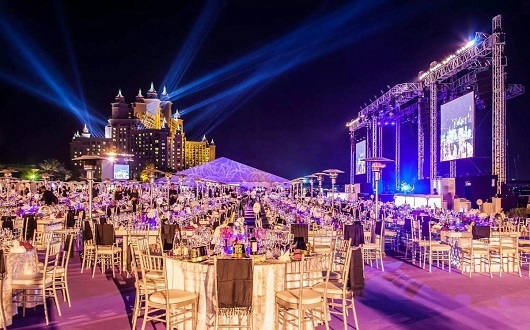 Never the one to disappoint, Atlantis will go all out with their NYE celebrations (think delish food spread, live shows and fabulous performances) and make it a night to remember. 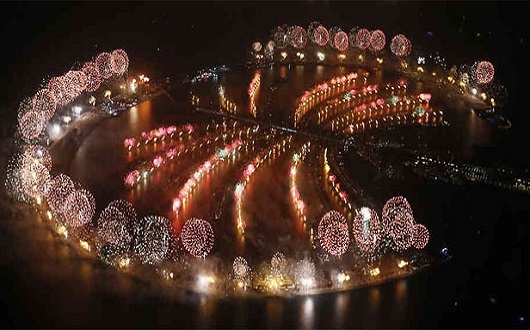 Then, as the countdown to the new year begins, a dazzling display of fireworks will happen at Nasimi Beach. 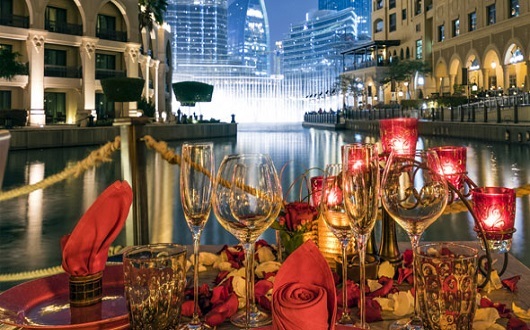 Arabian resort Qasr Al Sultan, adjacent to Dubai Parks and Resorts, is throwing a gala dinner this New Year's Eve, complete with a dazzling fireworks display. 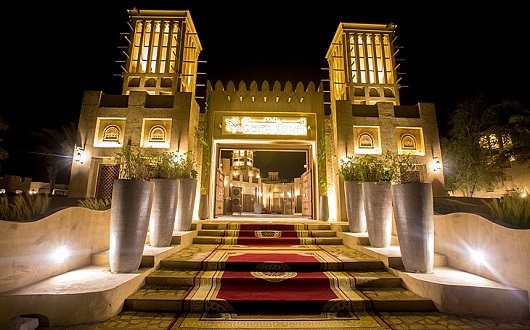 As well as the dinner buffet, there will be live entertainment from an international band, traditional Arabian singers, and dancers. 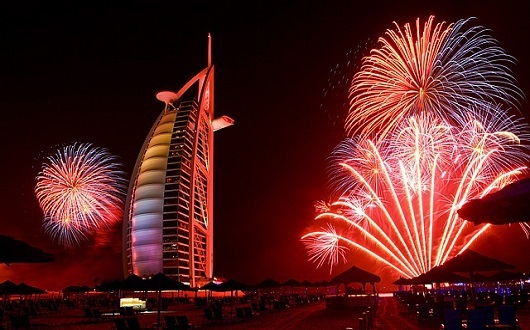 One of several iconic destinations and sources for fireworks every year, the Burj Al Arab will be putting on its traditional fireworks display again for the arrival of 2020. 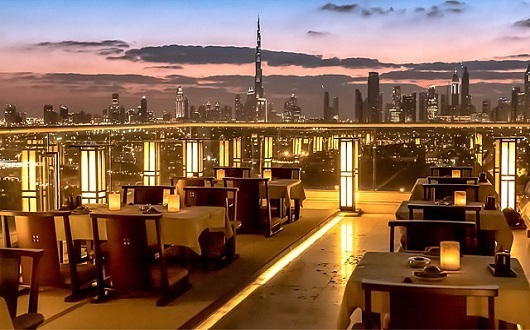 Visible from practically anywhere along the Jumeirah coastline, your best bet for a prime spot is to head towards Madinat Jumeirah for a bite to eat or a few drinks to see in the New Year. Alternatively, head to one of the public beaches along the coastline for a free viewing. We've seen some pretty spectacular moments on New Year's Eve coming from the Palm Jumeirah, with the whole archipelago lighting up to celebrate the arrival of years gone by. 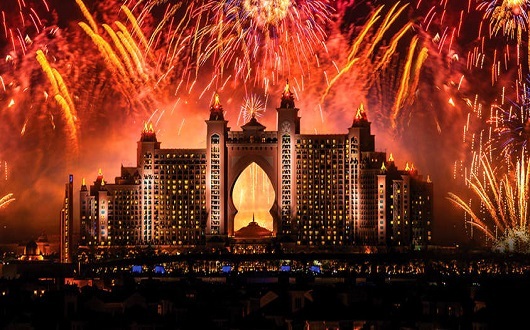 This year Atlantis The Palm is the place to be to check out the monolithic fireworks display. 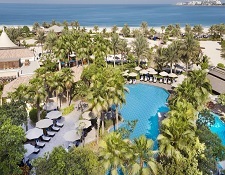 Although, head to the 11km boardwalk around the circumference of the crescent is also going to be a great way to catch the display – with free public access walking access available from the Rixos The Palm Dubai at the tip of the eastern crescent to the One & Only The Palm on the opposing western side. The Nasimi Beach party of Dubai is one of the oldest celebrations for New Year's Eve in Dubai. Once you enjoy this party, it stays with you your entire life. The dance, the music, the pop singers of the top rank, the beach, the party along the Atlantis The Palm is an impossible to forget experience. Add to this, the dazzle of the fireworks in the sky above the sea. Incredible indeed! 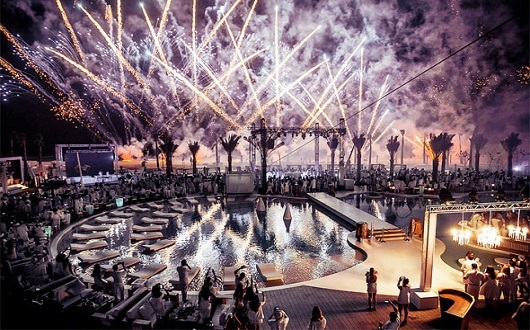 Offering up one of Dubai's longest New Year's Eve celebrations is Nikki Beach. The day-to-night festivities will kick off from 1pm with a poolside disco party, concluding with the disco ball at the first floor Nikki Prive restaurants and lounge. It's Dhs500 for unlimited food and drink for four hours, or Dhs1000 for eight hours. Zero Gravity New Years Celebrations, also be a variety of zones throughout the club to keep everyone entertained in the run up to midnight. There will be a Helter Skelter zone. With its carnival atmosphere, rides and games, grab your friends and embrace the madness. 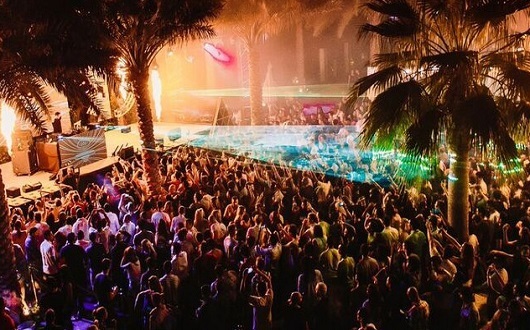 The Ritual zone will awaken the senses with its silent rave and edible bubbles and don't miss, Zero Gravity's renowned Supernatural zone the ultimate all-day brunch to rival Ibiza's best. Want to escape the crowds but still enjoy the spectacle of Dubai's extravagant New Year's Eve fireworks? 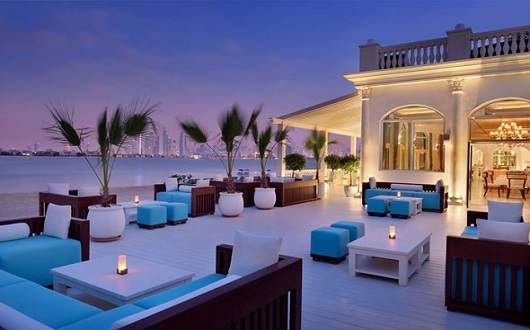 Board one of Amwaj Al Bahar's luxury yachts that depart from several locations around the city at 9:30pm. 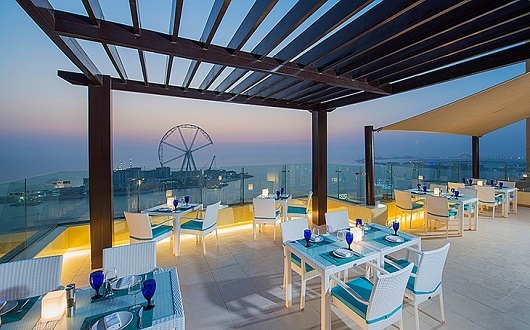 Enjoy a buffet dinner while cruising the Arabian Gulf, followed by dessert in the lounge. 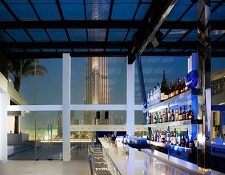 From the top deck, see the fireworks light up the night sky and Dubai's landmark buildings. 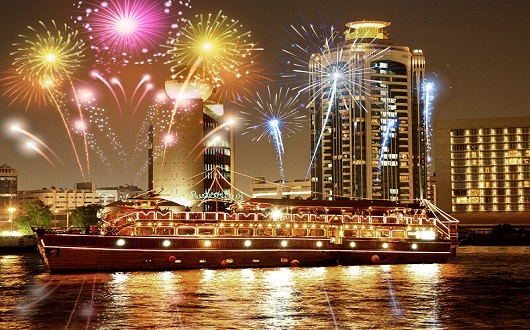 Dhow cruises also operate on Dubai Creek from 11pm to 1am. 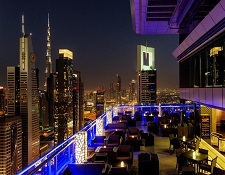 If there's a city anywhere in the world that beats Dubai for rooftop bars, we haven't seen it. 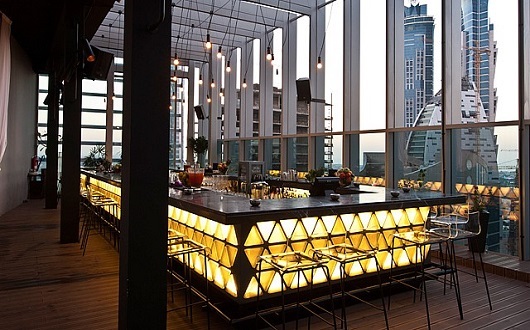 The sheer number of venues means that in order to be popular and successful, a rooftop bar in Dubai must have great food, an excellent drinks selection and, above all, a view that will take your breath away. 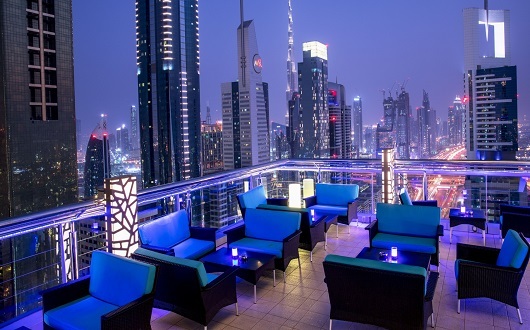 Here are the best rooftop bars in dubai. 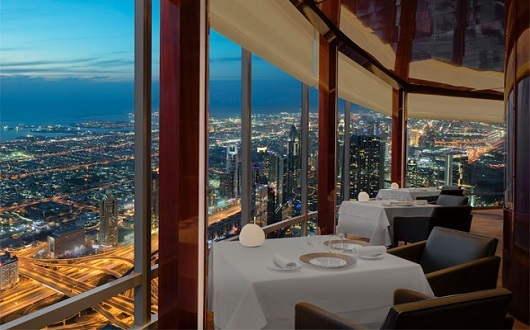 Wrap up 2020 on a literal high as the world's tallest restaurant, At.mosphere. 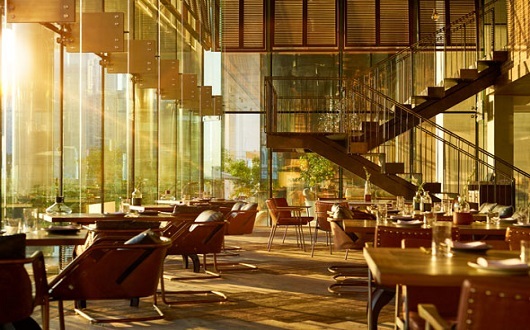 Offering a nocturnal fine-dining 'brunch' served to the table, there's a specially curated menu featuring dishes such as stuffed lamb saddle, seared seabass with artichokes, and smoked salmon gratin dauphinois. There will also be prizes given out as the clock strikes 12. Add a little Argentinean fiesta to your New Year's Eve celebration at Asado. There will be a five-course meal, complemented by lively music from an Argentinean duo, and some pretty spectacular Burj Khalifa views. 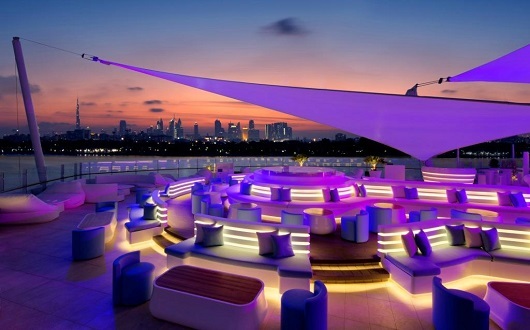 The package includes free-flowing drinks, with soft and premium beverage packages available. One of two openings for the 'gypsy chef' David Myers in the new Renaissance Downtown hotel, Italian restaurant Basta! will prepare a multi-course set menu with unlimited cocktails and house drinks until midnight, with the party going on until 2am. Ring in 2020 with a seven-course dinner and live music at Mediterranean-inspired beach house, Beluga. 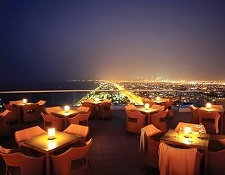 The patio and the rooftop, overlooking the Arabian Sea and Dubai skyline, offer unobstructed views of the panoramic fireworks display at the Burj Al Arab. 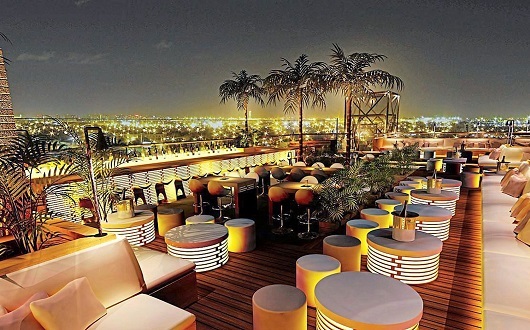 It's a smart, elegant dress code, with champagne and premium spirits included in the package. 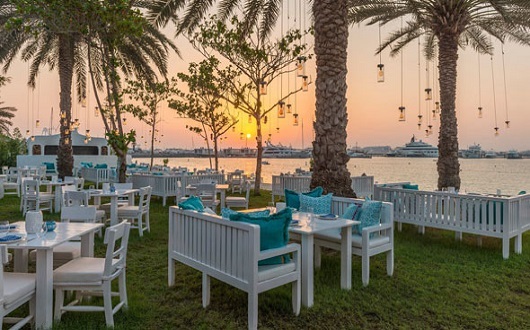 Offering an authentic taste of fare from the Aegean Sea, Fish is offering a beachside set menu with either a soft or house beverage package at its picturesque Marina spot this New Year's Eve. 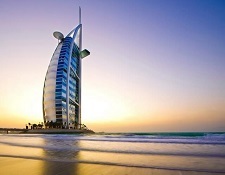 You can assure yourself of the best hotels for accommodation at Dubai with all the services and facilities. But make sure to book rooms for yourself before all the good hotels get booked. 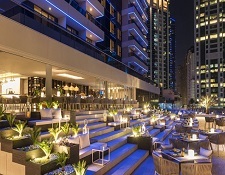 Atlantis The Palm Dubai, Hyatt Regency Dubai, Burj Al Arab Jumeirah, The Ritz-Carlton, Jumeirah Mina A'Salam, Four Points by Sheraton Sheikh Zayed Road are among the famous hotels of Dubai where you will get all the facilities and luxuries. 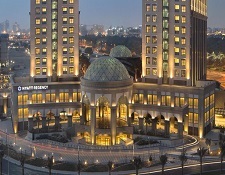 Make your stay at Dubai worthwhile and enjoy your New Year Eve In Dubai. Check availability and book local hotels here.